Since it was first published in 1995, the best-selling Penguin Companion to European Union has - over three editions - established itself as a key reference-point in the literature of European politics. Through a series of thematic A to Z entries, the Penguin Companion explains the ideas, institutions, personalities and policies that have shaped politics at European level since the second world war. The book's entries provide definitive and accessible accounts of the history, institutions and decision-making processes of the European Union - and other international organisations, such as NATO, OECD, WEU and the Council of Europe - as well as of the national and international contexts in which European integration has developed over the last six decades. In the fourth edition - published in September 2012 - all existing entries are up-dated and a series of new entries are added on key developments since the mid-2000s - including the drafting and aborted ratification of the European Constitution, the new institutional power balance defined by the Lisbon Treaty, and the politics and economics of the eurozone debt crisis. 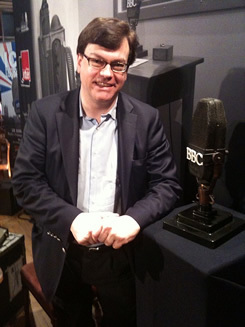 Following the death of Timothy Bainbridge in autumn 2004, Anthony Teasdale became co-author of the book once again, and agreed to take forward successive editions for Penguin. "An indispensable collection of answers to every historical or factual question you could have about the highly complex institution which the British tabloid press manages to demonise into reductive, mendacious simplicity." "I recommend this book to anyone wanting a comprehensive, well-balanced and well-informed account of today’s Europe." "Required reading … It leads us with admirable clarity and lack of techno-jargon through the history, composition and machinery of the EC." "The Penguin Companion to European Union stands out as a lucid and well-written introduction to the EU … comprehensive, accurate and readable – technical enough for the expert, yet accessible for the intelligent lay reader." "This is a highly useful and affordable multidisciplinary supplement to undergraduate reading lists. Entries are excellent in terms of scope and clarity of treatment." "A sparkling addition to the sea of Euro-literature. … There is much to surprise and amuse, as well as inform. " 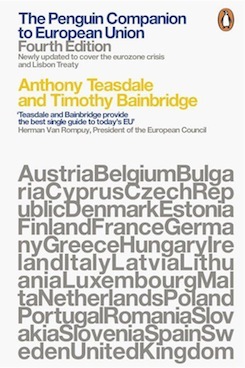 "Teasdale and Bainbridge provide the best single guide to today's EU." "Everyone, whether Europhile or Eurosceptic, should read this book." " Opinions on the European Union, especially in the English-speaking world, are too often based on prejudice or hearsay. In the Penguin Companion, two experienced insiders at last provide the kind of precise information and analysis which is the pre-requisite for sound judgement."